This special robotic gearbox was originally developed for use in Delta robots. 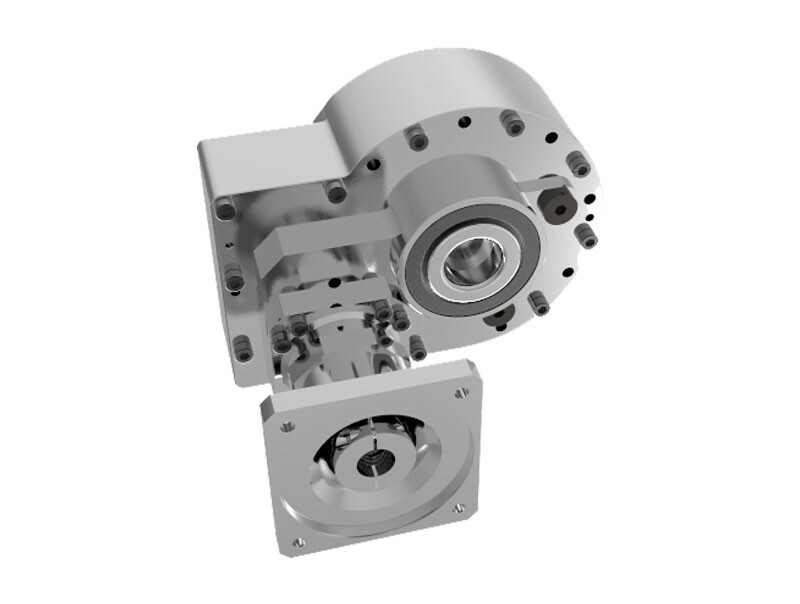 Today our special and robotic gearboxes are used in nearly all areas with very specific requirements. They combine the highest precision with fast reverse movements. The precision gearbox PSD can easily be adjusted with varying product weights and different pick & place paths. Our customers can expect high cycle numbers and short, fast reverse movements with a simultaneous high duty cycle. The unique and patented gear design allows very low backlash of ≤ 0.5 arcmin, this also remains constant throughout the lifetime of the gearbox. Input speeds of up to 6,000 rpm are achieved and an extremely high precision of the gearbox is possible, even in the range of low torques and small movements. The range of ratio offered is 20:1 … 50:1. The gears are precision ground. The housing is made of a high-quality aluminum alloy. This contributes to the low gearbox weight of 7.5 kilograms. In order to ensure the highest possible quality, we use exclusively high-quality bearings . The motor mounting is carried out individually via a variable interface, thus enabling simple adaptation of the common servomotors. Maintenance is not required due to life-time lubrication. Cables and supply-lines can be routed through the hollow shaft. Alternatively it is also available in solid shaft version.